latestnews1947: Badminton Association of India (BAI) interim President Himanta Biswa Sarma on Sunday announced cash awards for 2017 World Championships medallist pair of P.V. Sindhu and Saina Nehwal. Sarma announced an award of Rs 10 lakh for Sindhu, who won the silver medal and Rs 5 lakh for Saina's bronze medal-winning feat in Glasgow. "I am glad that this is the first time India had a record breaking participation at the World Championships and getting two medals from a single world championship is unprecedented but our players have made it possible," Sarma told IANS immediately after Sindhu went down to Japan's Nozomi Okuhara 19-21, 22-20, 20-22 in a gruelling final that lasted an hour and 50 minutes. "I want to congratulate both Saina and Sindhu on their medal winning performances and the Coaching staff for their efforts," he added. 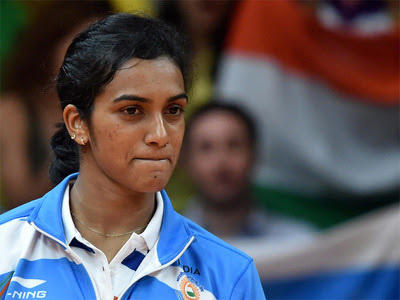 Sindhu by virtue of winning the silver has created a new record for India at the World Championship with three individual medals -- one silver now and two bronze medals in the 2013 and 2014 editions. This has been India's best World Championship so far with two podium finishes for the first time in history. Saina had earlier settled for bronze after losing to Okuhara 21-17, 12-21, 10-21 in a women's singles semi-final clash at the Emirates Arena in Glasgow.